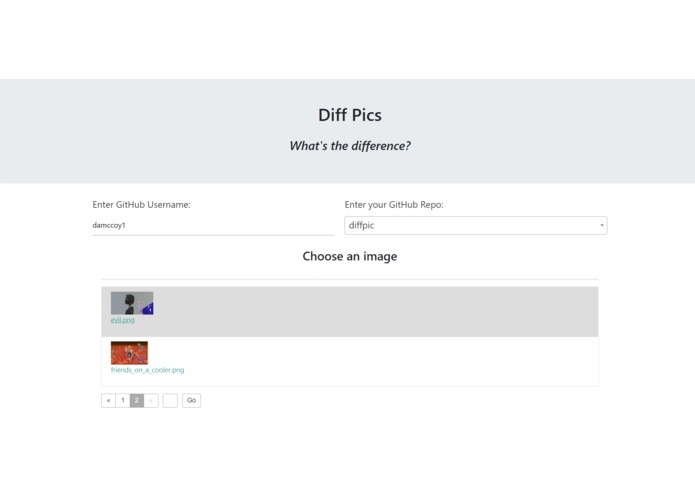 Compare differences in an image of a GitHub repo with a scrubbable timeline. We wanted a cool way to visualize changes in an image over its commit history. Allows you to easily see the changes for a picture in your GitHub repo's commit history. You can see pixel changes, rotation, and resizing. 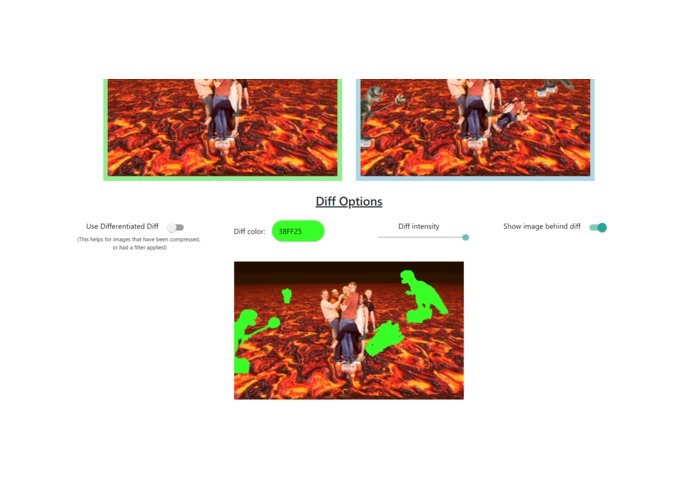 See "How we built it"
UI is simple and it's easy to see the changes in an image. It's fun to make single page web apps. 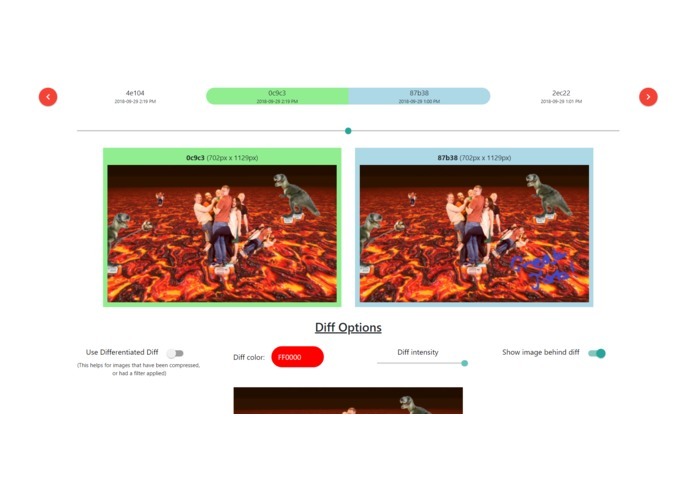 I did the diffing of the images, came up with the "differentiated diff" option, helped design the overall flow and interface, built the toolbar, and made bug fixes. I implemented the image picker and getting images from the user's commit history on GitHub using their API. Just a freshman trying hard to create some useful apps.